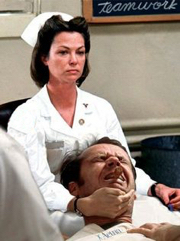 I’m writing because the Nurse Ratched show in development at Netflix has not been canceled. Production is scheduled to begin soon in 2018. This means that Netflix will be creating what has been called a “monster” nurse character working in the American mental health system. This negative portrayal denigrates nurses, the majority of whom are women. This is not only an offense to nurses but also to women. Since most American media (including Netflix media) is available worldwide, this horrific portrayal of nurses will likely spread across the globe. 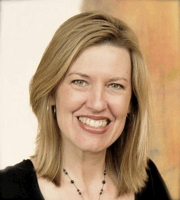 Sandy Summers, RN, MSN, MPH, Executive Director of The Truth About Nursing, has pointed out that this will not help recruit new nurses in the US or in the rest of the world where nurses are desperately needed. Such a depiction makes a mockery of our profession. Now is the time for us to spread the word so that thousands of nurses can take action to contact the men behind the making of this denigrating portrayal of a female nurse and tell them that we oppose this atrocity. The world does not need to tolerate more gender stereotypes created by men that denigrate women. introduce some nuance in the title character and feature other nurse characters with some of the positive traits of real nurses, such as expertise, courage, decency, and a healthy sexuality. The petition is directed at the producers of the show including Michael Douglas who has a FaceBook page and whose Twitter handle is @KDouglasMichael, and Ryan Murphy @MrRPMurphy (Murphy is also the show runner). However, here’s another way to take action: The writer of the show, Evan Romansky, was described by reporter Jordan Crucchiola as a “newcomer” and, from his Twitter feed, Evan Romansky seems to be a reasonable person – his Twitter handle is @eromansky. We are likely to get further by appealing to Mr. Romansky as an ally who cares about women and cares about the world. Perhaps he knows a nurse or has a family member who is a nurse (or who is a patient). So, another approach is for nurses to contact Mr. Romansky directly to help him know that the 3 million nurses in the US and 14 million more around the world are opposed to the celebration of a horrific nurse character. – that showing positive aspects and more realistic portrayals of nurses that are seen worldwide are key to the health of not just Americans, but the world’s citizens. Most nurses in the world are women. So if this show airs as planned, Evan Romansky’s work will directly affect not only the portrayal of nurses, but it will perpetuate harmful stereotypes of women. 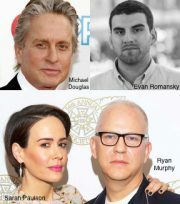 So consider contacting Sarah Paulson @MsSarahPaulson and urging her to persuade Ryan Murphy to abandon this project, or to abandon it herself. The denigrating battle-axe stereotype of a female nurse ultimately hurts women. Time’s up! Now is the time for nurses and allies to contact any or all of these creators and to sign Sandy Summers’ petition. Together, by showing that we care about how this show is created, nurses can have a voice to influence the future.